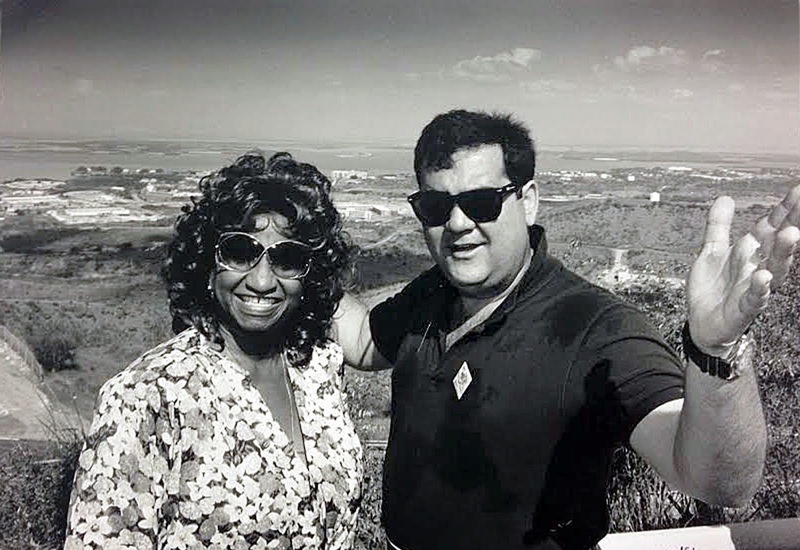 I remember my excitement when, in February 1990, I was told that I would be covering Celia Cruz’s trip to the U.S. Naval base in Guantánamo Bay, where she would be giving a concert for Cuban employees from the pre-Castro era who still lived in Cuba but worked at the base. The event was in honor of Cuban-American Friendship Day. At the time, there were many Cuban workers who crossed over daily from communist Cuba into the U.S. naval base. Of course, this was long before Guantánamo became the detention facility for war-on-terror captives. I arrived on the base with colleagues from television, radio personalities and elected officials — including Rep. Ileana Ros-Lehtinen (R-Miami) and former Sen. Connie Mack (R-Fla.) — aboard a U.S. Navy C-130 transport plane. Once we landed, I remember Celia walking down the aircraft passenger stairs that led to the tarmac, dropping to her knees and kissing the ground. I knew just how she felt because it was the first time that I, too, was returning to the island after leaving it in 1961 at the age of 4. On the trip, it was clear Celia was the star. Reporters clamored around her wanting to know how she felt being back in her homeland. She gave a bittersweet response, claiming to be happy to feel Cuban soil underneath her feet but sad that she really was not back in the Cuba she once knew. Everyone wanted to hear anything Celia had to say. I remember Sen. Mack jokingly saying that this would be the last time he would travel with Celia. “She takes up all the interest of the media, and everyone else is ignored,” he said. So true. Celia was just that special — not as a star but as a person. During our four-day trip, we took a two-hour tour of the base, accompanied by a Navy media specialist and the base’s commander at the time. At one point during the tour, we were shown the perimeter where the Navy base was separated by barbed wire from the rest of the island. In the evenings, dinner with Celia was a real treat. She was pleasant to everyone and made us feel special and at home with her. No big-star drama from Celia. Her charm, charisma, wisdom and especially her humor won us hardened journalists over. When Celia performed for the crowd, they went wild with her classic tunes and showed their appreciation with nonstop dancing. 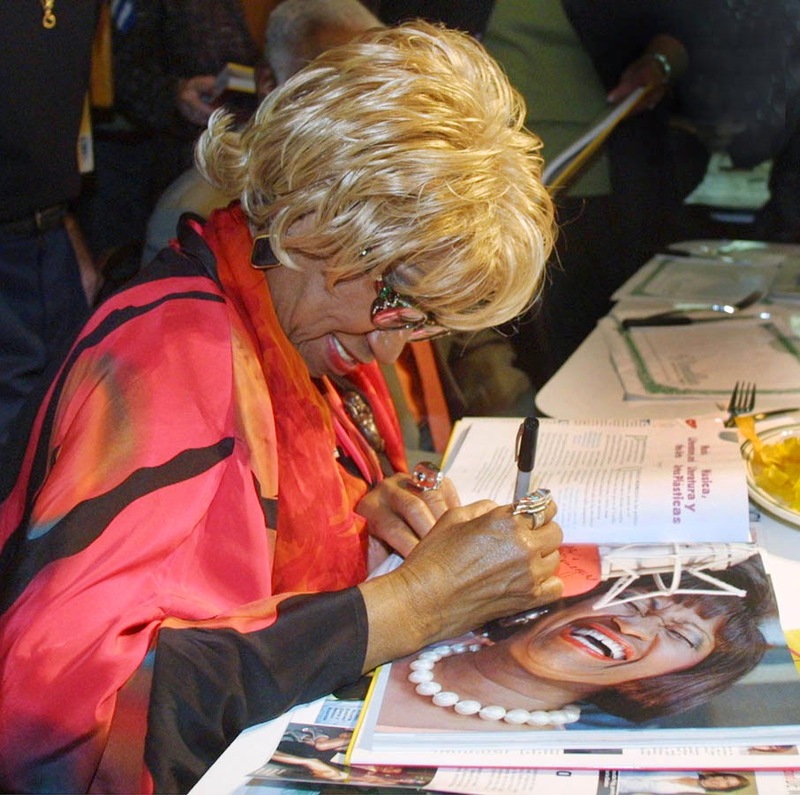 It was a great show for everyone to watch Celia sing her standards like Guantanamera, Bemba Colora … and, of course, belt out her trademark shoutout: AZÚCAR! Then the trip came to an end. Now, let me share an embarrassing moment I had with Celia, which serves as a testament to her class and generosity. As we prepared to fly out of Guantánamo, Celia was behind me with her husband, Pedro Knight, whom she lovingly referred to as “ Mi pelotica de algodón” (my little cotton ball) because of his full head of white hair. As we were all standing in line on the tarmac, waiting for instructions to move forward, I noticed the base commander make a friendly goodbye gesture to me in the form of a military salute. I returned the salute by lifting my hand to my forehead. Accidentally, my elbow stuck out and caught Celia's head, which sent one of her famous wigs into a 180-degree spin on her head. When it stopped, it completely covered her face. Startled, she shrieked, " Ayyy pero!" and quickly recovered her wig to its proper position. I was so humiliated that I had been so clumsy. But Celia quickly put me at ease: “Don’t worry, these things happen,” she said. She could have reacted angrily, but she didn’t. That just wasn’t Celia. I saw her again months later at the annual Little Havana Calle Ocho festival, where she played at the Budweiser stage. I recall that as I entered the side stage to photograph her just before she went on, she spotted me and, in her booming voice, shouted: “Hey, Guerrero, remember Guantánamo?” I blushed because she said this on an open microphone and the thousands who were there to see her heard that. My dear Celia, yes, I remember Guantánamo. And I’ll always remember you. Celia Cruz works the crowd at Calle Ocho festival at the Budweiser stage in 1990. Celia Cruz and C.M. Guerrero at the U.S. Naval Base in Guantanamo Bay in 1990. The Miami Herald this weekend features retropective coverage of Celia Cruz to preview next weekend’s annual CubaNostalgia, which will celebrate the iconic singer’s contribution to Cuban culture through art, music and exhibitions. On pages 4E and 5E, you’ll find the first two of a four-part timeline showcasing special moments spread out over eight decades. The rest will be published in Sunday’s Tropical Life. The timeline also will be displayed on large panels at CubaNostalgia in the Miami Herald Media Company exhibit space, which also will feature a collection of photos, special guests and items that belonged to Cruz. CubaNostalgia runs at 11 a.m. Friday and May 17-18 at the Fair Expo Center, Coral Way at Southwest 112th Avenue. Tickets cost $12 for adults and $6 for children under 12. For more information, visit cubanostalgia.org or call 305-929-9773.